The fraud (or at the very least, false info pusher) David Wilcock hasn’t come out with anything new in 10 years. But he will certainly sell you his bags of feathers. His blogs go on and on with no real information or discoveries to offer. Why? Because he has ZERO valuable information for you. Case in point: In early 2019 he rehashes something about Bob Lazar, 30 years after the info comes out. Talking about antigravity and the sport model Bob Lazar talked about. Now this is a tactic that all the UFO speakers use, because they have NO NEW INFO, because there are NO new undeniable SIGHTINGS, and there are NO other ET CONTACTEES, as far as we can prove with evidence. So all they do is talk about the same old cases every few years, and get all excited when a new corroboration is discovered for a 30 or 50 year old dead case. Meanwhile, the Billy Meier case has new corroborations every month, or nearly every week, and no one bats an eye. So in typical David W. style, he makes an announcement about some big anouncement coming soon. Then he says how many differenct big things he is working on. Finally, he comes out with an extremely long article, that mainly talks about his feelings and opinions, but never contains any new provable information about extraterrestrials presently visiting the Earth and meeting with an Earthling. And what does he use as a graphic in his long, boring article? Billy Meier’s photo of Semjase’s beamship. You could call that an IFO or ETFO. He also uses Wendelle Steven’s drawings / diagrams of three Plejaren craft. Do you think after the decades of research and hundreds of books he allegedly has read, he might catch on that the Meier case is authentic? Other frauds like to use Meier’s photos, but no one writes about Meier himself. The fraud Cobra uses Meier’s photos. 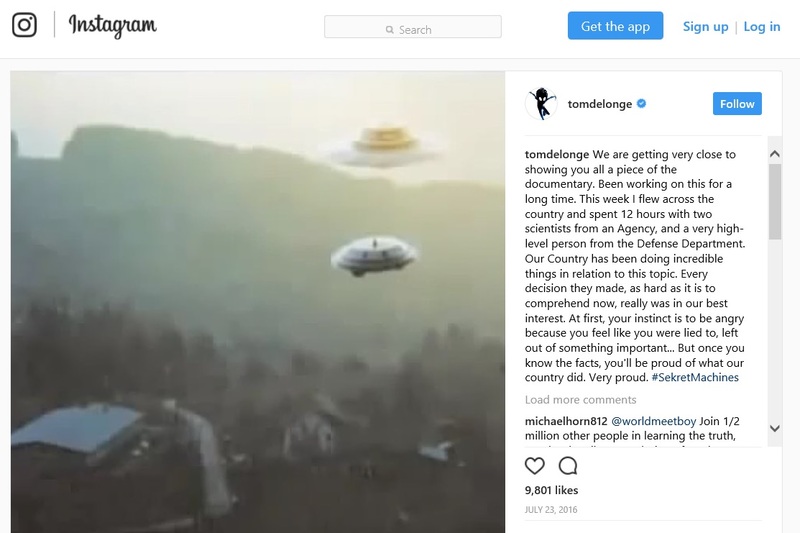 The fraud Tom Delonge uses Meier’s photos. Heck, even the X-Files TV show used Meier’s photos and films (twice). If you try to politely point this out on his forum, the moderators will censor the information. That’s right, I had a moderator on his forum tell me that he thinks the Billy Meier case is authentic, but the giant forehead will not allow anyone to post that information on his forum. Why? Because he is a fraud. How does ANY UFO researcher not see that the Bob Lazar “sport model” and Semjase’s beamship ARE THE EXACT SAME type of craft? No one has ever made that connection public? If Bob Lazar is so famous with zero photographs of what he has seen in those hangars, how is Billy Meier shunned with HUNDREDS of clear photos of beamships and DOZENS of clear photos of a sport-model-type craft? No, Wilcock and friends will sell you a ton of feathers, when all you want is a pound of gold. Forget frauds like Wilcock. Go directly to the source. The Guardian Of The Treasure. This entry was posted on January 10, 2019 at 9:04 pm and is filed under Disclosure. You can follow any responses to this entry through the RSS 2.0 feed. You can leave a response, or trackback from your own site.